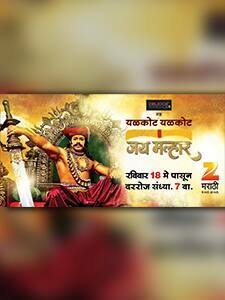 Jai Malhar is a mythological show produced by Mahesh Kothare. It started on May 18 and airs from Monday to Saturday on Zee Marathi. The show revolves around the life of Khandoba, who is aid to be the reincarnation of Lord Shiva. The show highlights the glory of Khandoba and is said to be the most expensive Marathi television serial so far.